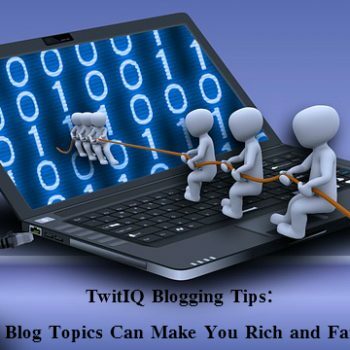 TwitIQ Blogging Tips: What Blog Topics Can Make You Rich and Famous? When blogging came into being, it captured the imagination of millions of people. They saw it as an opportunity to write anything that pleases them and publish it online with a click of the mouse.